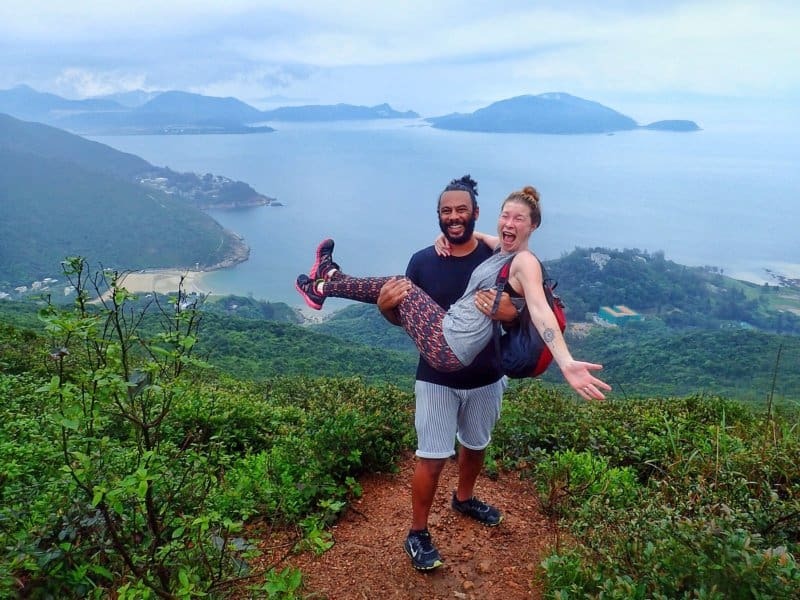 In lieu of our usual travel couples interview this month, we’re featuring a guest post from James & Sarah, the travelers at The Whole World or Nothing. They share the story of just how possible it is to change everything and set off to see the world. We hope these two inspire you as much as they have inspired us! Travel hasn’t always been on our agenda as a couple, in fact it wasn’t until quite recently that we realised it was a joint dream that we both shared. We left to travel the world in November 2015 and us meeting each other, falling in love and getting married was the single most important factor in making that dream happen. Our coming together was the perfect storm that led us to throw the rule book out of the window and set off in search of new adventures. From the outside looking in, our lives as they were probably seemed pretty settled to most and although our family and friends know that we’ve never been a couple to shy away from challenging ourselves, they never expected us to do something quite so drastic. But we are so glad we did and now hope to inspire others to take a risk and follow their dreams too. I’d never really given a second thought to living anywhere other than in England. From early on, I suppose my path was pretty firmly set on those things you are expected to do in order to be a success in life. Get a degree, forge out a solid career for yourself, buy a house, settle down and start a family. It never really occurred to me to question it until I turned 30 and was well and truly in the “settling down” phase. I’m not going to pretend we weren’t happy with our lives before we left to travel because we were, very much so. We’d recently bought a house, had successful careers and lots of amazing family and friends around us. But during a drunken conversation one night about where our lives were heading, we realised just how bored we were and how we wanted something different to the atypical “successful life.” Even though we’d been together nearly 6 years at that point, James had never really spoken about wanting to travel, I suppose he’d buried it in the back of his mind not thinking it would be a real possibility. 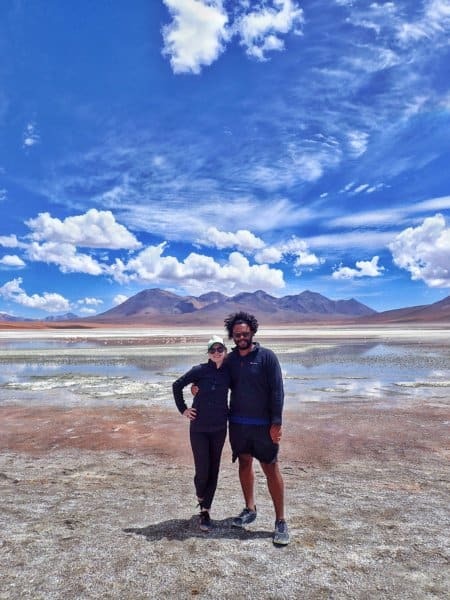 But as soon as we started talking about the exciting life changing opportunities it held, I was sold and that was it – we decided on the spot we would save up, quit our jobs and go off and see the world. Of course the deciding to do it and the reality of it happening were two very different things and in the cold light of day the next morning, I think we both wondered if it had all just been wine-fuelled talk, I know I did. But over the months that followed, our dream started to transform into a plan. As we drew up the list of countries we would visit it became clear that we wanted to go pretty much everywhere. The combined level of discipline needed to save enough money to leave and sheer scale of organisation required to pack up our lives as they were, often left me feeling extremely overwhelmed. You see I’m very good at the detail, but when something is stressing me out I can easily forget to look at the bigger picture and then when I do, it swamps me. This is where J’s calm personality and level headedness enabled me to get through my meltdowns over renting out our house and rehoming our cat. I couldn’t have done it without him. I’ll never forget the feeling the day we left and stepped out of our old lives, how ironic it was that the weight of my backpack strapped on my back made me feel so much lighter. Now we are in the midst of the biggest adventure of our lives, every day is just so exciting and having no idea what our future now holds is simply exhilarating. I’ve been wanting to go and see the world since my late teens. A four week trip around the Greek islands when I was 19 ignited this desire, but with mounting debts after leaving university and a desire to build a career, it seemed like an impossible dream. I used to draw up a new “life plan” every few months and number 1 on the list would always be to save up to go travelling. But I didn’t really have the discipline required to do that at the time and so the list would get lost amongst the distractions of everyday life. And whilst I always maintained that wanderlust, I buried it deep down. I can say with some certainty, that had I not met Sarah, I wouldn’t have had the opportunity to see all the amazing places we have visited. It’s as simple as that. The reason? Sarah has a lot more focus than me. Once we’d made the decision to actually go, lists were put together, meetings were scheduled with banks and the wheels were quickly set in motion to make what I’d always thought would remain a dream, reality. 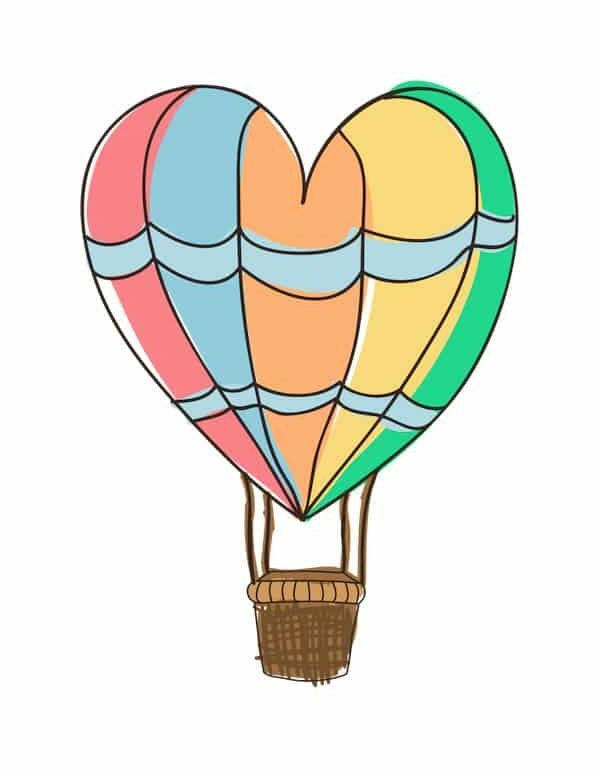 Most of this practical planning was initiated by Sarah, and this is one of the reasons we work so well together – whilst we have many shared loves and interests, we have very different natural skill sets, but fortunately ones that also complement each other. 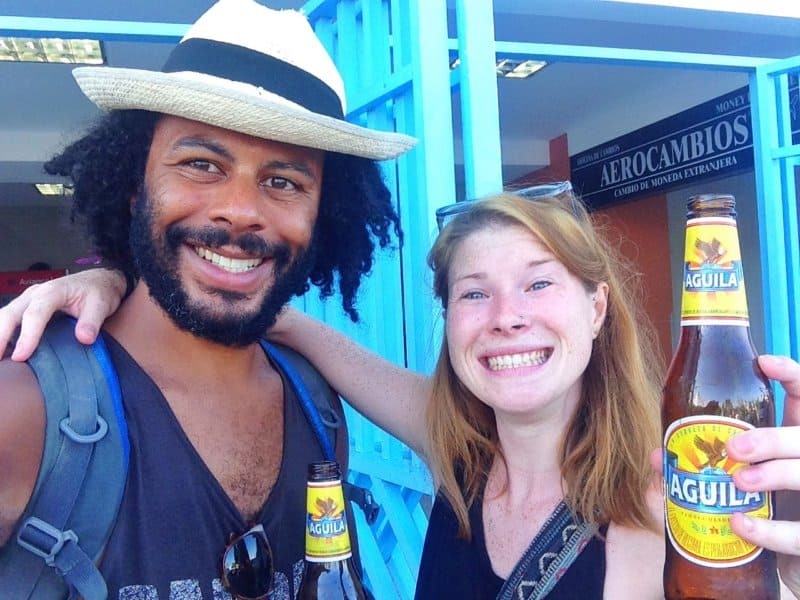 Travelling the world together has been incredible, but the planning stage was also exciting and exhilarating, something which is often overlooked. It really brought us together as newlyweds, giving us a joint project to work on and providing us with something that motivated us to work towards in partnership. So, if you’re a couple that share a dream to see the world but something always seems to be stopping you, we hope you take heart from our story. There is no perfect time to travel, there is always a reason to put it off and it there will be difficult times to work through. But no matter what stage of life you are at, by focussing on that shared dream and all of the positives, you can inspire each other to pack your bags and begin your adventure together. Awesome stories, guys! We just started our travel blog and have a big dream to set off for the world, in a few years.